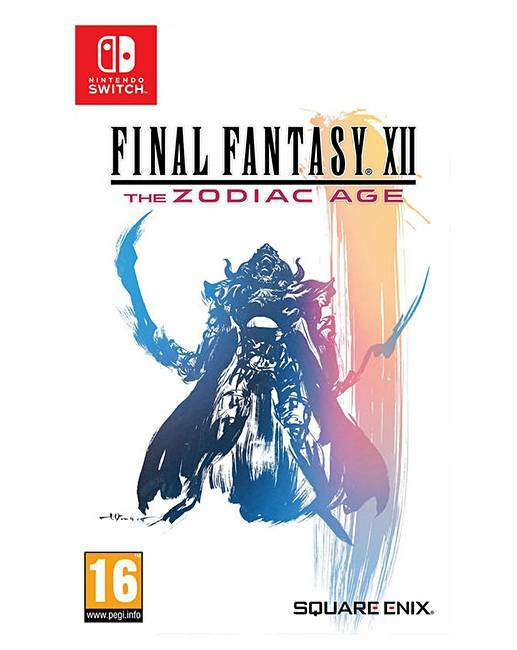 Final Fantasy XII The Zodiac Age - Nintendo Switch. Based on the 12th numbered entry in the smash hit Final Fantasy series that has sold over 6 million units worldwide, Final Fantasy XII The Zodiac Age has re-worked the game's design and re-mastered their visuals in full-HD, making full use of current generation hardware capabilities to improve the graphical and audio quality for the ultimate play experience. Final Fantasy XII The Zodiac Age takes place in the breath-taking world of Ivalice, where magic is commonplace and airships fill the sky. The small kingdom of Dalmasca is caught between warring empires Archadia and Rozarria, and the lone heir to the Dalmascan throne, Princess Ashe has devoted herself to forming a resistance to liberate her homeland. The story begins when Ashe meets Vaan, a young thief who dreams of flying free in the skies, as their adventure changes the destiny of the world's greatest nations.